In the wake of the bloody suicide bombings at a shrine in Pakistan killing 88 worshippers, the country has hit back hard at Afghanistan by land-locking it out. Authorities shut down a second key border into Afghanistan at Chaman in southwest Baluchistan, halting trade supplies to the neighbouring country, increasing tension between the two. Pakistan is determined to pressure Kabul in taking action against Islamic State militants who Pakistan says have sanctuaries in Afghanistan. 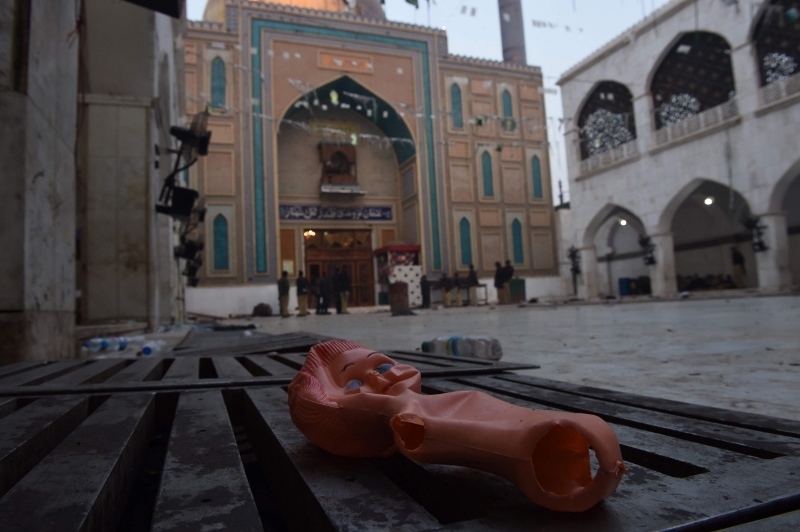 IS has claimed responsibility for the horrific carnage at Lal Shahbaz Qalander shrine in Sehwan on Thursday 16th February, which claimed 88 lives and injured hundreds. Pakistan security forces since then launched nationwide operations and state they say killed over 100 terrorist militants hiding in the country. 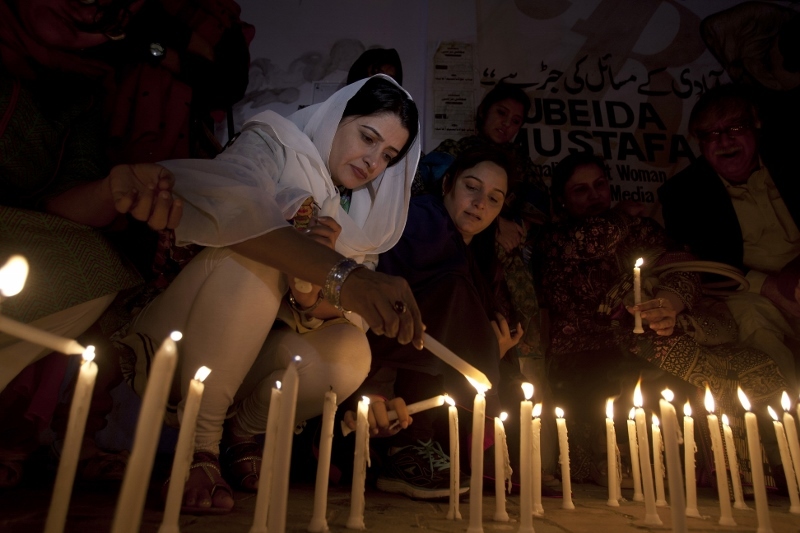 Pakistan was reeling from the Jamaat-ul-Ahrar suicide assault on 13th February at a rally in Lahore. Seven police officer and six civilians were killed in the busy artery of the city. Pakistan says Jamaat-ul-Ahrar - a breakaway faction of the Pakistani Taliban and the main Tehrik-e-Taliban Pakistan militant groups had been operating from Afghan areas near the Pakistani border. Officials say that Kabul has historically ignored Islamabad's pleas to take action against them. Now Pakistan's military have summoned Afghan diplomats and handed over a list of 76 suspected "terrorists" who were hiding in Afghanistan. Pakistan wants immediate action by Afghan authorities, including the suspects' extradition to Islamabad. Deputy Foreign Minister Hekmat Khalil Karzai says the Afghan government wants Pakistan to take strict action against terrorists that are hiding in Pakistan; but expresses concern over the closure of the border crossings and asked that the gates be reopened. Apart from disrupting trade, says Karzai, the closure of border may also delay the repatriation of Afghan refugees by the refugee agency of the United Nations. The Afghan army Chief of Staff General Qadam Shah Shahim, claims that his forces killed 1,955 Islamic State group fighters over the past year. Refugees have been living in Pakistan since the 1980s after the Soviet Union invaded Afghanistan. Pakistani officials say the country sheltered 5 million Afghan refugees at one time and there are still an estimated 1.3 million registered and over a million more unregistered living in the country. It has allowed registered refugees to remain in the country until the end of this year. 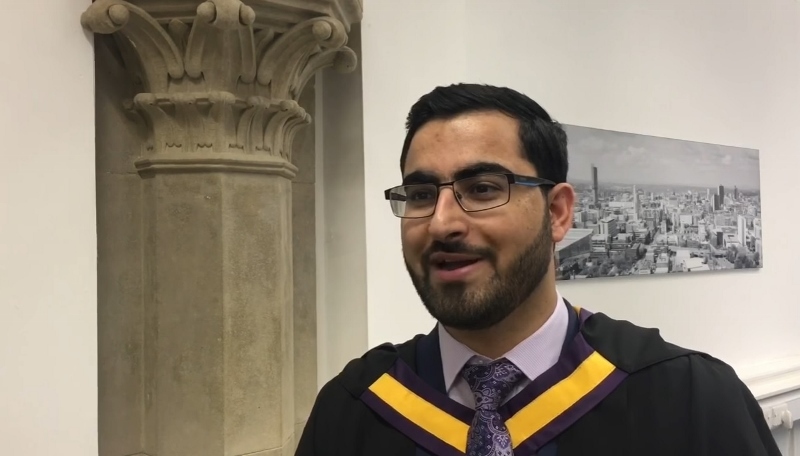 An inspirational refugee who travelled through eight countries to escape war-torn Afghanistan when he was just 12-years-old, has just graduated from The University of Manchester. In 2006, Gulwali Passarlay was 12, and was about to be forced to either join the Taliban or the NATO-backed army. Many members of his family, including his father, had been killed during the conflict, which also made Gulwali a target. His mother urged him to make his way to England, so he fled for his life with just the clothes on his back. After being forced to endure an unimaginably difficult year of solitary hardship on the road, with hunger, illness, a terrifying 50-hour sea crossing in darkness and a motorway journey clinging to a hot engine inside a lorry, he eventually made it to the UK. However, once on the British shores, his troubles were not over - penniless and speaking no English, he endured months of racism, loneliness and poverty. Despite the huge difficulties he has faced, he has gone on to achieve remarkable success. He taught himself English and enrolled at college, when his potential was spotted by the University’s Manchester Access Programme (MAP), which supports talented year 12 students. Thanks to the staff’s support, he was able to achieve his required A-level grades to take a BA in Politics and Philosophy, and also received a scholarship funded by the Ross Warburton Charitable Trust. 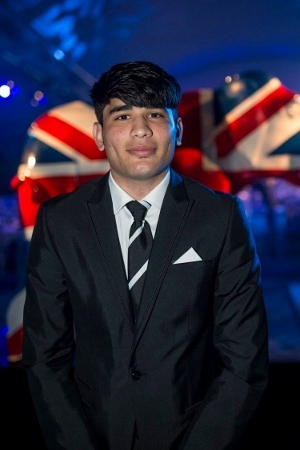 While he has been a student, he has hosted his own TedX talk, has spoken at many schools about refugee rights, was on a Department for Education panel which scrutinizes how policy affects young people, and was the first Afghan ever to take part in the Olympic Torch Relay. He is also on speaking terms with several politicians. Since completing his studies, he has written for newspapers, and has released a book called ‘The Lightless Sky’, called ‘a gripping account of a life-threatening journey to freedom’ by one leading critic. In what has been a hectic three years, Gulwali says he is delighted to have graduated. “It has been an amazing yet challenging three years, but thanks to the help and support of University staff, I have managed to achieve my honour,” he said. “I have no doubt that the knowledge, connections and friendships I have made whilst studying will stay with me for a long time. Thank you to Manchester for such a wonderful time of fulfilment and achievements. 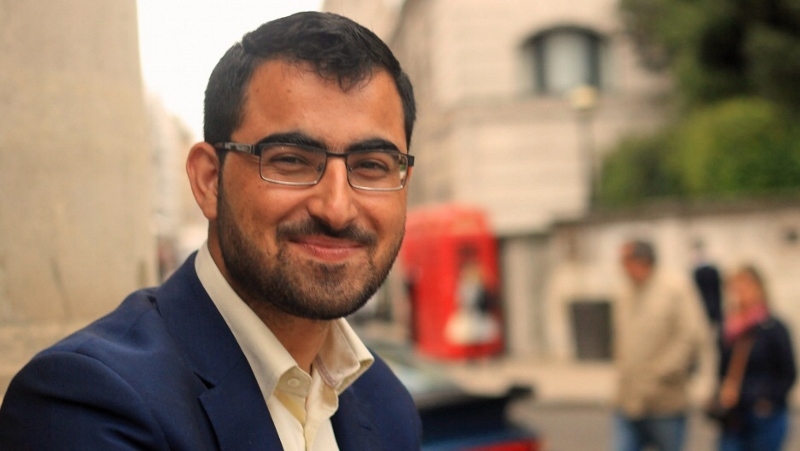 Gulwali now hopes to go on to work with charities who are supporting and empowering refugees, and to work with UNHCR, using his experiences and studies to influence policy makers on their response to the refugee crisis. Eventually, he says he would like to return to Afghanistan, and to play a part in rebuilding his country by working for peace and prosperity. At the age of just 11, Said Jamal was forced to flee his home country of Afghanistan after his father was killed by Taliban forces. Unable to speak English and facing all the challenges that come with moving to a new foreign land, he settled in Rotherham with his mother and siblings where he still lives today. Despite facing such difficult times in his young life, Said refused to be brought down by the adversity which had struck his family and excelled in the UK, learning to speak fluent English and discovering a passion for rugby league. Earlier this month, the now 15-year-old was presented with the ‘Overcoming Adversity Award’, at the Sheffield Celebration of Sport dinner, after signing for Castleford Tigers on a Scholarship scheme. 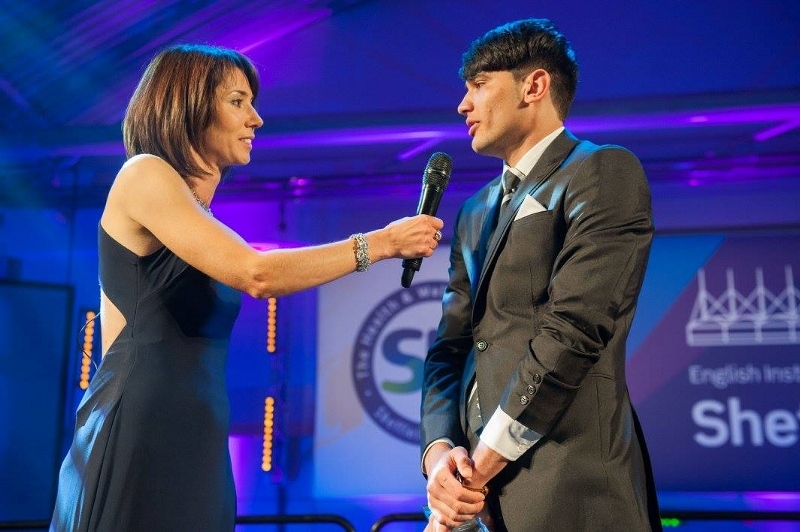 His inspirational story earned him 70 per cent of the votes in the category and a prestigious award, presented to him by BBC Sports presenter Tanya Arnold. Said’s first foray into the world of rugby league came at Clifton Community School, where he was spotted by Sheffield Rugby League stalwart Mitch Stringer. He went on to join Dearne Valley Bulldogs in the Yorkshire Junior League before signing for Castleford Tigers after some impressive performances. Said became captain of his team within a year of joining the club and now has dreams of becoming a professional Rugby League player for the Tigers. “I'm in my second year at Castleford now and I love it here,” he said. “It's my ambition to play Super League for them one day. That would be a dream come true for me. This latest award is not the first time Said has been recognised for his inspirational story. Earlier this year, he was invited to be a VIP at the Super League Grand Final between Wigan Warriors and Warrington Wolves at Old Trafford. He was then selected to pass over the match ball to referee Robert Hicks ahead of kick off in his Dearne Valley strip. Afghanistan’s president, Ashraf Ghani, has raised hopes of a peace agreement being reached with one of the nation’s most notorious Islamist warlords, which could bring an end to years of conflict. Since May this year, negotiations with Gulbuddin Hekmatyar, who heads up the militant group, Hizb-i-Islami, have been ongoing with an initial draft accord signed by both parties. Sceptics remain wary of the possible ‘adverse effects’ which may transpire should the notorious warlord be brought into the political fold due to his history with extremist groups. Hekmatyar has previously been allied with the Washington-backed anti-Soviet mujahideen in the 1980s and the Taliban, who have been aiming to force out the NATO-led coalition in Afghanistan and bring in Islamic law. Longstanding human rights abuses also stand against the Pashtun warlord. 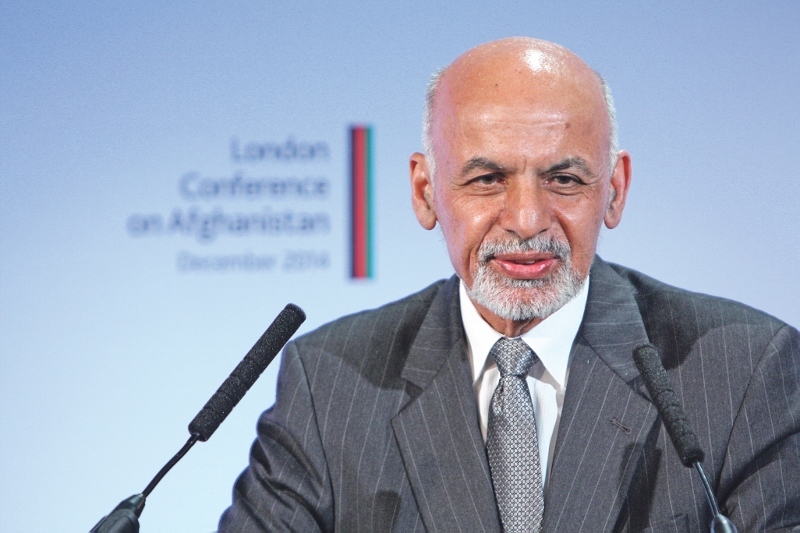 “Some issues are left and those are issues that would be very important for implementing peace,” Ghani said at the start of the three-day Eid holiday on Monday 12th September. In his statement, he also thanked both Hizb-i-Islami and the High Peace Council for their efforts to negotiate a deal. “There is hope that, God willing, the agreement will be finalised soon and we will witness a major step toward the creation of peace environment and end of fighting,” he added. Despite being named on the US State Department's Specially Designated Global Terrorist list in 2003, the negotiations with Hekmatyar highlight the possibility for militant groups to move away from the battlefield and into the political process. In the 1990s, Hekmatyar’s forces were accused of the killings of thousands of innocent civilians in heavy bombardments of the Afghan capital, while links with many al Qaeda and Taliban attacks have been touted in more recent times. Peace talks with the Taliban, the largest insurgent group in Afghanistan, have yet to get off the ground, but both sides have said they are open to the idea. Afghanistan is facing a ‘displacement crisis’ as the number of civilians trapped inside their own country dramatically doubled over the past three years, a new report by Amnesty International revealed this week. Afghans already form one of the world’s largest refugee populations, behind only Syrians, with an estimated 2.6 million citizens living beyond the country’s border. The latest published report finds that there are also a staggering 1.2 million people ‘internally displaced’ in Afghanistan today, a dramatic increase from some 500,000 in 2013. Recent years have seen an escalation in violence in the country, as international troops – including UK forces - have left, and the Afghan security forces have fought for control against anti-government groups like the Taliban. These changes have led to large-scaled displacement across the country with people fleeing the intensifying conflict, as the Taliban continues to grow. Helmand province, said to be the most dangerous in the country, was where the majority of British troops were stationed throughout the 13-year US-led invasion and occupation of the country. 449 British military personnel died in the province during the war. Since Afghan forces took over the battle against the Taliban, they have been steadily losing ground in Helmand, and as the conflict has escalated, more civilians have fled in search of safety. There have also been growing reports of fighters claiming allegiance to the Islamic State armed group over the past two years. In the eastern province of Nangarhar groups apparently affiliated to Daesh have engaged in clashes with both pro- and anti-government forces in 2015, leading to the displacement of tens of thousands of civilians. 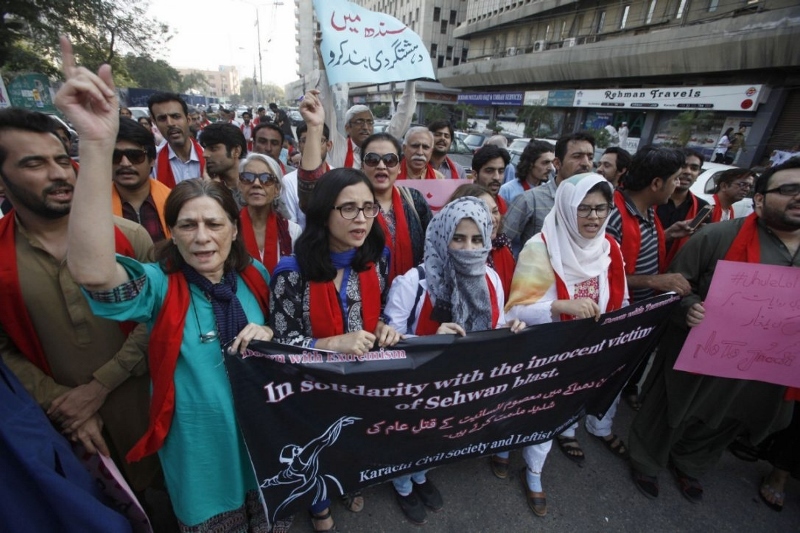 Champa Patel, South Asia Director at Amnesty International, said: “While the world’s attention seems to have moved on from Afghanistan, we risk forgetting the plight of those left behind by the conflict. 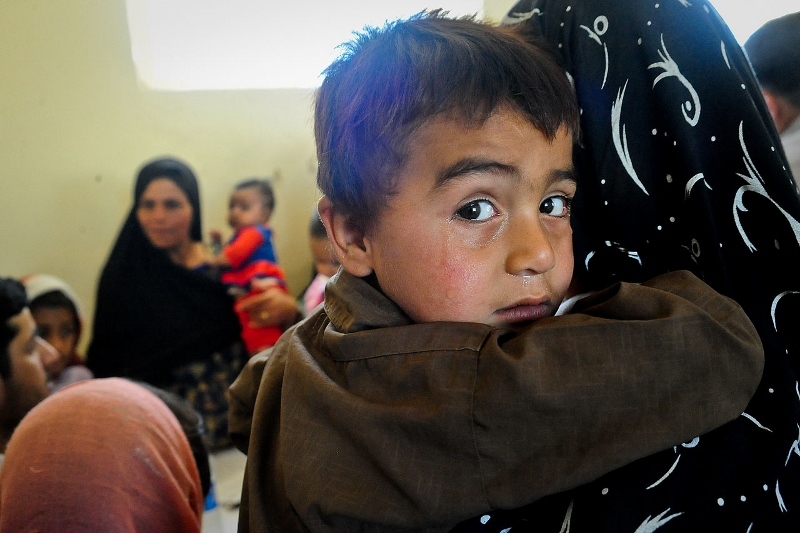 “Even after fleeing their homes to seek safety, increasing numbers of Afghans are languishing in appalling conditions in their own country, and fighting for their survival with no end in sight. “All parties that have been involved in Afghanistan over the past 15 years have a responsibility to come together and make sure that the very people the international community set out to help are not abandoned. Amnesty’s research found that, despite the promises made by successive Afghan governments, displaced people in Afghanistan lack adequate health care, shelter, food, water and opportunities to pursue education and employment, with most living in dismal conditions. Mastan, a 50-yearold woman living in a camp in Herat, told the charity: “Even an animal would not live in this hut, but we have to. Five-year-old Murtaza Ahmadi, who lives in the Afghan province of Ghazni, has had his image shared across the world, and is now set to meet his footballing hero, Lionel Messi. Fans across the globe were moved by the image of the young boy wearing a homemade ‘Messi 10’ shirt made out of a plastic bag. 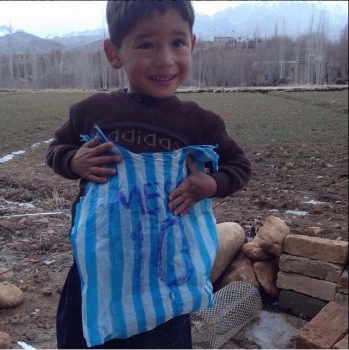 Murtaza’s brother used a blue-and-white striped bag to recreate Messi’s Argentina jersey and wrote ‘Messi’ and the number 10 on the back. The image quickly became viral online. The Afghanistan Football Federation (AFF) have revealed that Messi’s management have been in touch, and are keen to arrange a meeting between the pair. An AFF spokesman told Al Jazeera: “We’ve been contacted by Messi’s management team and they have expressed their interest in meeting the boy. Murtaza’s brother, Homayoun told Al Jazeera: “Murtaza found a plastic bag and ran towards me asking me to make a jersey out of it for him. His father added: “We did not expect that we would get this kind of support from everyone. “People from all over the world have been calling me to help get Murtaza a jersey and a football. Murtaza’s father, a poor farmer in Ghazni’s Jaghori district, added that Murtaza only had a punctured ball to play with. Little Murtaza is currently training with the AFF ahead of the meeting – in a full Messi kit, of course – and he could well be set for a future in the game. “The passion that Murtaza carries for football, we will do everything in our capacity to train him to be a part of our Afghanistan football team,” said the AFF. Afghanistan is one of the lowest ranked countries in the world, according to the UN’s Human Development Index. Roughly three-quarters of the population live in poverty. The country has struggled to rebuild in the wake of the US-led invasion that removed the Taliban. Afghanistan’s President, Ashraf Ghani, has dismissed a number from his country’s national security agency following claims of duty neglect. On Thursday 26th November, an unknown number of officials were fired due to their lack of action when Taliban militants briefly captured the northern city of Kunduz in September. The overrule led to a prolonging of Washington’s 14-year-old US military engagement in Afghanistan as the area was recaptured by government forces after days of fighting. Many were killed in the resulting conflict, including 30 people in a US air strike which hit a hospital. Speaking in Kunduz last week, Ghani slammed the actions of the National Directorate of Security (NDS), the intelligence agency, and confirmed the pending dismissals. “There was a lack of unified command, and even though there were many Afghan troops in Kunduz, we failed,” he said. “I have issued an order to dismiss all NDS personnel who neglected their duties,” he added to cheers from the crowd. 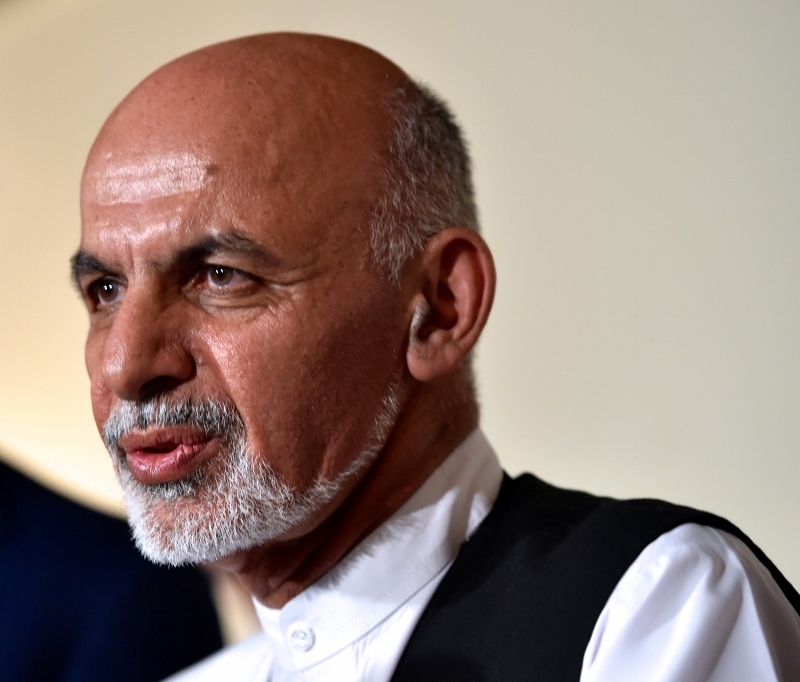 Despite not stating exact figures, the Afghan leader added that some officials would be prosecuted under the military code rather than dismissed. Prior to Ghani’s announcement, Afghan investigators had ruled that ‘leadership failings’ were the reason behind the Taliban’s capture of Kunduz. The investigative team did not single out military or government officials for blame, but proposed reforming the National Security Council, a body headed by the president that oversees national security. Deteriorating security and a stalling economy have shaken confidence in the government, and driven about 150,000 people to leave this year to seek a better life abroad. More than 80 people have been killed and thousands more have been forced to flee their homes after flooding in a remote part of northern Afghanistan last weekend. The deadly flash floods were just the latest in a number of incidents, which have led to landslides and avalanches in the country’s mountains, where many villages and roads are virtually cut off from the rest of civilisation. 850 houses were completely destroyed by these most recent floods with more than 1,000 damaged, leaving people in need of shelter, food, water and medicine. The death toll stood at 81 as of Sunday yet the search for missing people continues according to police chief in the Guzirga i-Nur district of Baghlan province, Lt Fazel Rahman. “So far no one has come to help us. People are trying to find their missing family members,” he said, adding that the district's police force was overstretched by the scale of the disaster and needed reinforcement. General Mohammad Zahir Azimi, spokesman for the Afghan defence ministry, said two army helicopters had been sent to the area to provide assistance. Guzirga i-Nur district is located more than 85 miles (140km) north of the provincial capital, Puli Khumri. Jawed Basharat, the spokesman for the Baghlan provincial police, said they were aware of the flooding, but that it would take eight to nine hours for them to reach the area by road. Afghans living in the northern mountains have largely been spared from the country's decades of war, but are no strangers to natural disasters. Last month, a landslide triggered by heavy rain buried large sections of a remote north-eastern village in the Badakhshan province which borders China, displacing some 700 families. Authorities have yet to provide an exact figure on the number of dead from the 2nd May landslide, and estimates have ranged from 250 to 2,700. Officials say it will be impossible to dig up all the bodies. 65 former detainees in Afghanistan have been released from prison in the South Asian country despite United States officials labeling them as ‘dangerous’. The men, who were believed to have been connected to the killing of Afghan civilians and coalition forces, were freed on Thursday 13th February. More than two dozen of those were linked to the deaths of 32 US and allied troops and when detained were found with weapons and materials which could then be used to make improvised explosive devices. “The release of these dangerous individuals poses a threat to U.S. coalition and Afghan national security forces as well as the Afghan population,” the U.S. command in Kabul said in a statement. The move comes as current Afghanistan President Hamid Karzai refused to sign a security agreement which would have allowed a residual US force to stay in the country after the current operation ends at the end of this year. Army Colonel, Steve Warren, a Pentagon spokesman added his disbelief at the judgement which saw 65 ‘dangeorus’ men walk free. He said: “These are bad men…They've got a lot of blood on their hands; a lot of blood. 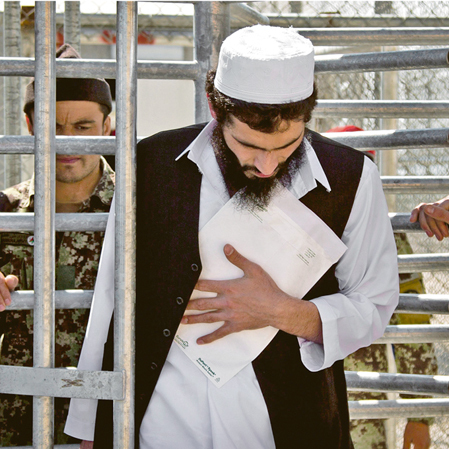 Amongst those released was Nek Mohammad. Mohammad coordinated rocket attacks against U.S. and Afghan forces and helped transfer money to al-Qaeda before being he was captured in May 2013 with artillery shells, mortar rounds and bags of fertilizer. This latest mass release takes the total number of detainees released by the Afghan government to 625. With the first ever democratic elections taking place in Afghanistan in April, Presidential campaigns finally began last week. However, with a rising threat coming from Taliban insurgents which threatens to disrupt the proceedings, turnouts are expected to be low in many areas of the country, whilst the campaign will be a major test for the 350,000-strong Afghan security forces. Just last weekend, two assistants of presidential candidate, Abdullah Abdullah, were shot dead in Herat in build up to the official election campaign. “I can confirm that armed men killed Dr Hamdard who was to lead our election campaign team in Herat, along with another team member in Herat city this evening,” Sayed Fazel Sangcharaki, a spokesman for Mr Abdullah said. Abdul Rauf Ahmadi, a police spokesman in the western city of Heart also confirmed the incident. “Unfortunately two people, namely Ahmad Hamdard and Shujahideen were killed in the fourth district of Herat city this evening. Unidentified gunmen opened fire on them in the middle of the street,” he said. The police spokesman only gave one name for the second victim. 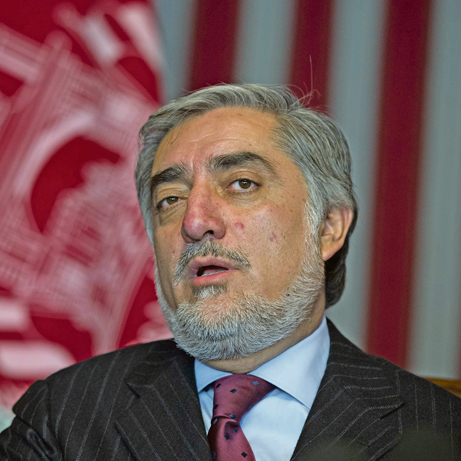 Sangcharaki said Hamdard had worked with Abdullah during the last presidential campaign in 2009, and lamented the lack of security given to his campaign by the government. “This incident at the beginning of the election campaign is a bad sign as either the security forces are incapable of providing security for the election campaign or they do not take their job seriously,” he said. Taliban insurgents have threatened to target the campaign, and the Afghan police and army face a major challenge with little support from the dwindling number of NATO troops. The interior ministry hopes to open 6,431 of the 6,845 polling centres, though fear of insurgent violence could keep turnout low. Only about one-third of registered voters cast their ballots last time — significantly lower than previous elections — and the turnout may decline further. 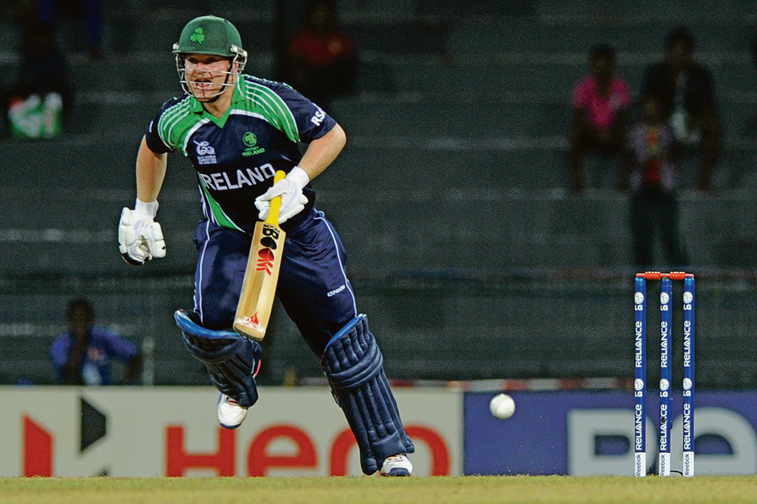 A formidable Ireland side hit the fourth highest total in Twenty20 history, as they thumped Afghanistan in the World T20 qualifier final last weekend in Abu Dhabi. The two sides were meeting in the final for third time in a row, having both previously picked up a solitary win each, yet it was the Irish side who smashed a remarkable 225 runs to clinch the qualifier title. Both teams had already secured their place in the first round of next year's finals in Bangladesh yet there was no sign of Ireland easing off as they ran amok with the bat. Paul Stirling opened after the victors elected to bat first and continued his impressive form against Afghanistan, scoring 76 off just 43 balls. His tally, which included four sixes and eight fours, was almost as impressive as his previous outing against the ‘new enemy’ when he mustered up a score of 79 runs from just 38 deliveries. Trent Johnston, batting at fourth, was also in inspired form as he smashed 62 runs from 32 balls before being expertly dismissed by Shapoor Zadran. Finishing on 225-7, the current holders of the qualifier’s championship looked likely to retain the title with only a record breaking innings from Afghanistan standing in the way of victory. Unfortunately for the challengers, the chase didn’t even last the twenty overs as big hitting proved costly and allowed Ireland to bowl their opponents all out for 157. Afghanistan did make a blistering start to their innings, clubbing 14 runs off the first three balls and were on target for victory after three overs, registering a score of 36 without loss. Ireland spinner, George Dockrell stepped up to remove the destructive Mohammad Shazad for 38, from just 18 balls, yet at the end of the sixth over, Afghanistan still looked in contention for victory amassing a score of 76 for two. Ultimately, the collapse began in the seventh over when Mohammad Nabi and Karim Sadiq were both dismissed by Alex Cusack. The challenge was made all the more difficult when top scorer, Gulbadin Naib was bowled by Trent Johnston, and the team was finally bowled out in the penultimate over. Man of the match Johnston took three for 34 to cap off a memorable all-round display from the retiring 39-year-old.